Dimensions 1 by 6.50 by 10.25 in. 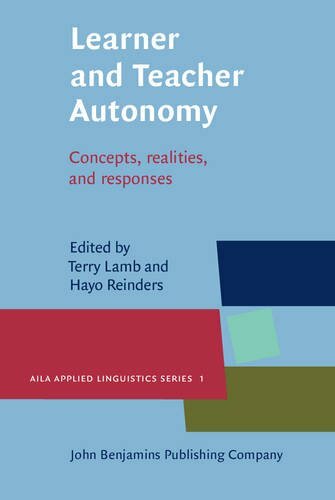 Amazon.com description: Product Description: This edited volume offers a cohesive account of recent developments across the world in the field of learner and teacher autonomy in languages education. Drawing on the work of eminent researchers of language learning and teaching, it explores at both conceptual and practical levels issues related to current pedagogical developments in a wide range of contexts. Global shifts have led to an increase in autonomous and independent learning both in policy and practice (including self-access and distance learning). The bookÃ¢ÂÂs scope and focus will therefore be beneficial to language teachers as well as to students and researchers in applied linguistics and those involved in pre- and in-service teacher education. The book concludes with an overview of the state of research in this field, focusing on the (inter)relationships between the concepts of learner and teacher autonomy.